Armed with years of prosecutorial and appellate experience, Maddox Kilgore defends juveniles and adults at every stage of the criminal justice system, from investigation, to trial, appeal, and habeas corpus. Maddox began his legal career serving as a law clerk for the former Cobb County Superior Court Judge and current Georgia Supreme Court Justice P. Harris Hines. As a law clerk on the Georgia Supreme Court, Maddox honed his craft of legal writing at the highest level. As an advocate, Maddox cut his teeth as an Assistant Attorney General for five years, where he argued habeas corpus cases across the State of Georgia and represented the State in murder cases before the Supreme Court of Georgia. He then served as an Assistant District Attorney in the Cobb Judicial Circuit for six years where he successfully tried dozens of felony jury trials, including defendants charged with murder, armed robbery, child cruelty, and trafficking narcotics. Armed with those years of prosecutorial and appellate experience, Maddox began defending juveniles and adults at every stage of the criminal justice system, from investigation, to trial, appeal, and habeas corpus. Maddox has successfully defended mentally-ill clients charged with murder, obtaining verdicts of NOT GUILTY BY REASON OF INSANITY three times in the last few years [Cobb County 2011, Cobb County 2015, Cobb County 2017]. 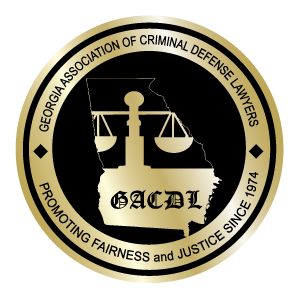 Maddox is particularly honored to champion the mentally-ill and has been asked to lecture on the subject of mental health defenses, addressing a statewide conference of defense attorneys on the subject. Much of his expertise is devoted to appellate practice before the Georgia Court of Appeals and Georgia Supreme Court, where Maddox has successfully won new trials for his clients. Maddox is a member of the Bar in both Alabama and Georgia. In March 2018, Maddox will be sworn-in as the president of the Cobb County Bar Association. In 2017, the Supreme Court of Georgia appointed Maddox as the Coordinating Special Master for attorney discipline cases prosecuted by the State Bar of Georgia.